Rub the steak with soy sauce and let it sit for 30 minutes. Season with salt and pepper and cook in a pan for a few minutes each side. Take it off the heat and let it rest. In the mean time, cut all vegetables. Cook the rice noodles, rinse in cold water, drain and set aside. Whisk all dressing ingredients in a bowl to combine well. Gently toss veggies, beef, noodles and dressing in a large mixing bowl. 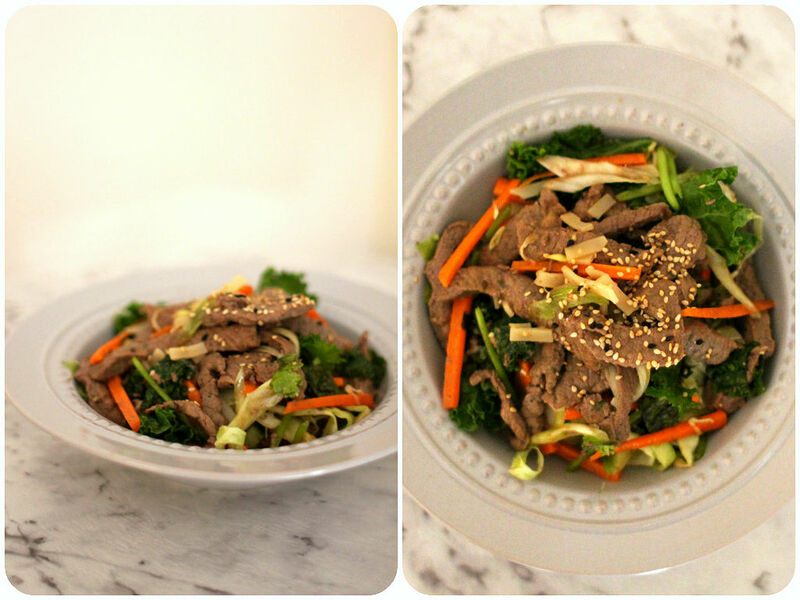 Transfer to a serving bowl, pour all the dressing over and garnish with sesame seeds.